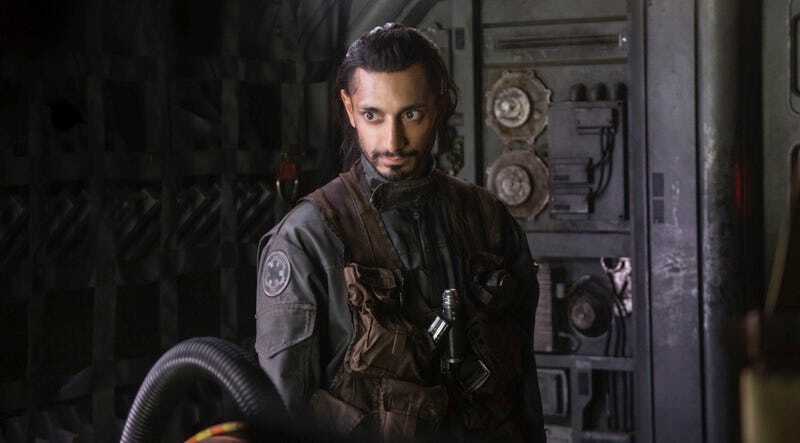 At the Rogue One: A Star Wars Story press event this weekend, we got a chance to talk with Riz Ahmed, who plays Bodhi Rook, a skilled pilot who leaves his gig with the Empire to join the Rebellion for reasons we learn early in the film (but won’t spoil here). Soon he becomes involved in the plot to steal the Death Star plans. 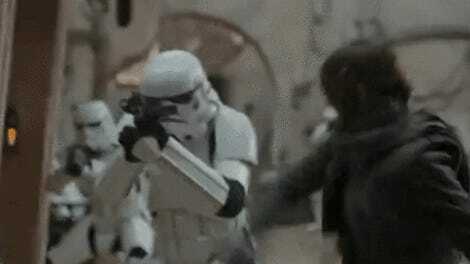 I think people are ready for Star Wars movies to really embrace the murky grey area between good and evil. That’s the reality of most of human experience, you know. I think it’s a good time for a slightly grittier, edgier, darker Star Wars movie to come out, just because the franchise is mature enough to be able to handle that, and the fandom is developed enough to want that. Also, I think it’s quite resonant, globally, to tell a story that reflects the times we’re living in. Hopefully characters like Finn and Bodhi Rook are resonant within that canvas, because they’re just like everyman characters. They’re just average Joes. I think there’s something quite inspiring to be taken from that. Greatness, and making significant contributions, and making a change doesn’t just fall to those who are born into the right family, who are part of the right clan, or had the right grandfather or whatever. It’s in your hands, too. You can step up, and if you stand up for what you believe in and you take a risk, you can make a difference. I think that’s a potent message in that context. I didn’t want to go and watch the movies again once I was cast. I felt like it would be a bit too burdensome, that weight of expectation. I kind of felt like, I’m confident in where this lies in the saga. It’s in the hands of people who revere the story and know the world back to front. Now it’s my job to commit to this character in this moment, in this storyline. We’re just trying to make something that pops because it feels real.